We are excited to announce the launch of our new Instrument Rental website. What did we do? A complete rebrand, fresh new web-design and whole lot of new functionality to make renting instruments easier. 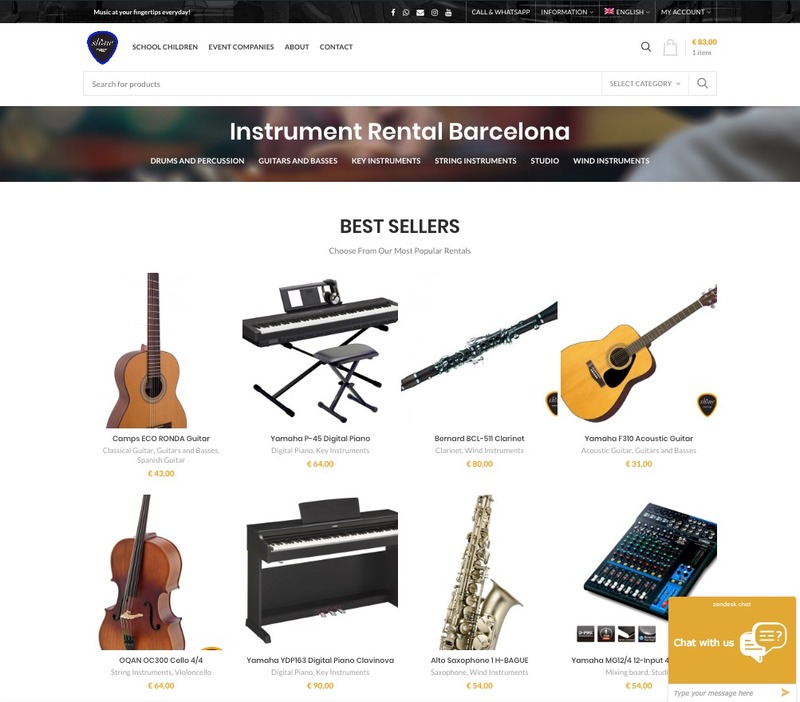 The aim with the new website was to streamline the process of renting instruments. We focused on improving user experience which included better product listing, better overall design, smoother e-commerce process and a lot more content. We also looked at how we could be better at providing pre-sale and post-sale support to our clients. For those of you who don’t know about our rental services we offer instrument rental services to event companies, wedding organisers, parents renting instruments for school children, professionals playing in concerts and individuals that are in Barcelona for holidays. From Digital Pianos, Acoustic Guitars to Speakers you name it we have it. Although this was a major upgrade our work continues. There are several areas that we want to improve further and are currently working toward that so stay tuned.